Spaceport Associates has operated as a marketing and regulatory consultancy, and source of policy and developmental initiatives since 2001, providing support to a range of clients who were involved in the planning and operations of the commercial space business, in the space tourism sector, and in developing spaceports. Derek Webber is now retired from active consultancy work, and so the organization has changed the primary focus of its operation to being an educational resource. 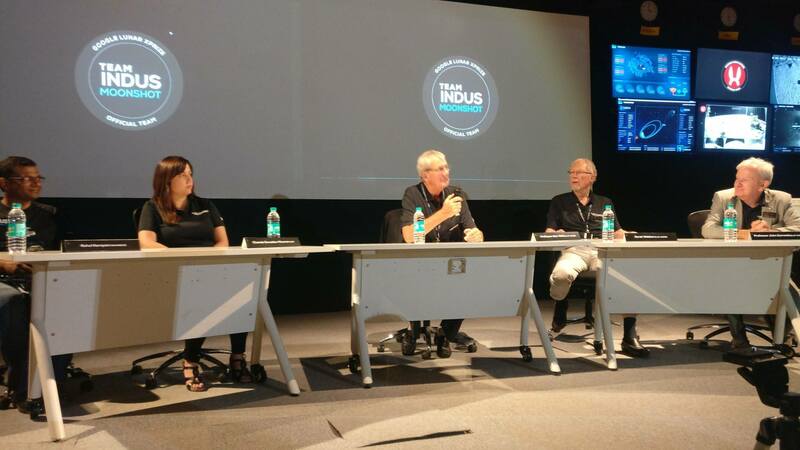 Spaceport Associates Founder Derek Webber (second from right) at a press conference in Bangalore, India, in 2017 during lander and rover test monitoring activities of the Google Lunar XPRIZE. Our first client was Futron Corporation, for which Derek Webber served as a dedicated program manager to deliver the $1.8M ASCENT Study of launch markets to NASA’s Marshall Space Flight Center in Huntsville, Alabama. The final report has become a milestone document in space market forecasting. Other clients have included Transformational Space Corporation (t/Space), Constellation Services International (CSI), Spaceworks Engineering Inc (SEI), Rocketplane/Kistler Inc (RpK), The Brazilian Space Agency, ASTROX Corporation, The Gerson-Lehrman Group, and Incredible Adventures. Presentations were given to Capitol Hill staffers to make Congress aware of the economic, educational and employment potential of the new markets. Spaceport Associates has supported public awareness of space tourism via articles, op-eds, and by Webber’s chairing and membership of panels on space tourism, spaceports and space financing at conferences organized by the National Space Society, The American Institute of Aeronautics and Astronautics, the Washington Space Business Round Table, The Space Commerce Roundtable, etc. 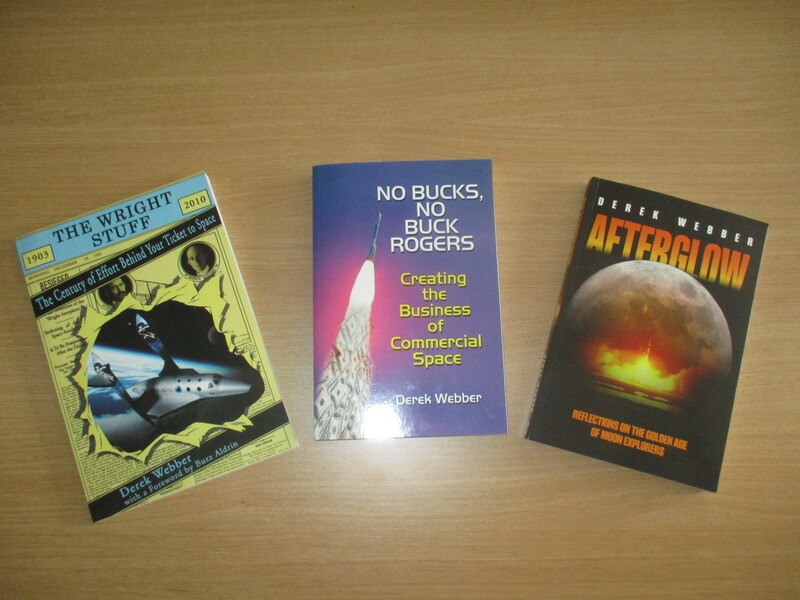 Webber space trilogy: “Wright Stuff”, about space tourism, “No Bucks”, about space commerce, and “Afterglow” about the past and future of space exploration. We have proposed architectural solutions such as “Gateway Earth,” which use space tourism to partially fund regular interplanetary travel operations. In this case we created the Gateway Earth Development Group (GEDG) to continue to develop the case, and to present the findings in the group’s website www.GatewayEarth.space. As a Judge of the Google Lunar XPRIZE, Webber ensured fairness in a competition that was aimed at rewarding the landing on the Moon and subsequent operation of a spacecraft which had used only minimal governmental funds. Webber is now active through the leadership board of the non-profit “ForAllMoonkind”, in establishing protections for the legacy sites on the Moon. 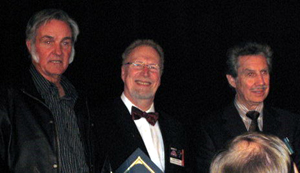 In addition to writing The Wright Stuff – The Century of Effort Behind your Ticket to Space, published by Apogee in 2010, and No Bucks, No Buck Rogers – Creating the Business of Commercial Space, and Afterglow – Reflecting with the Apollo Astronauts on their Missions and Lives, published by Curtis Press in 2017, Webber has been joint author of the following books: Kids to Space, 2006, Apogee, Beyond Earth, 2006, Apogee, Space Enterprise, 2009, Praxis, Space Law – Legal Contours, 2009, Amicus, and Tourism and Developments, 2013, Nova, etc. Webber provides space-related courses on the faculty of the Coastal Senior College, Maine.